Let your contentment blossom through personal exploration and present moment awareness. Release your expectations with every cleansing breath. 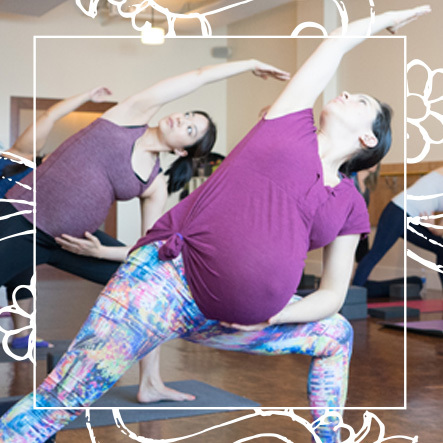 Join us for a series of six classes specifically designed for the changing needs of your body and mind during pregnancy. Prenatal yoga provides an opportunity to develop greater vitality and awareness of your body and deepen your relationship with your baby. Gentle postures, breath work, visualization, vocal toning and meditation cultivate flexibility, calm and confidence as you prepare for labour and childbirth. You are empowered to enhance your ability to achieve greater relaxation, comfort and enjoyment during this highly sensitive time. Come and embrace your pregnancy among other women in a beautiful, supportive environment. No previous yoga experience is required.